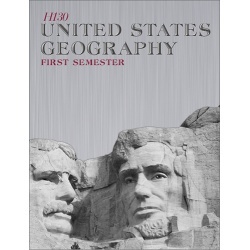 We offer no more "social studies" but old-fashioned history and geography. 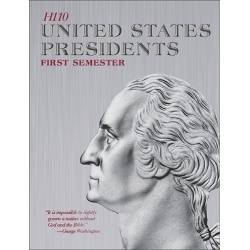 (Social studies was a product of the secular humanists in the late 1930's.) The root of the word history means "knowing." It actually is a record of the affairs of mankind down through the ages of time. History provides us with examples of success and failure, of victories and defeats, and of great men with courage and character, as well as inhumane tyrants with cowardice and cruelty. One responsibility of a good history program is to teach students to apply the lessons of history so that we are not doomed to repeat the mistakes of history. History is a record that reveals the sovereignty of God in the affairs of man. It is a record of the human knowledge of the development in time and space of God's divine plan for the universe. This concept recognizes that the universe was planned, created, sustained, and ordered by an infinite God. 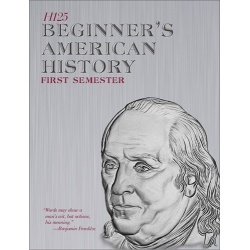 This we try to impress upon each student who studies our history courses. 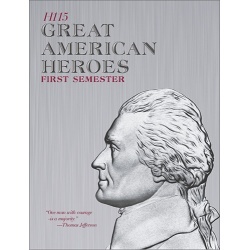 This text gives the students the right kind of heroes and valuable models of good character to follow, beginning with Christopher Columbus and continuing through the days of the great evangelist, Billy Sunday. Each week begins with vocabulary, and contains Bible memorization appropriate to the subject discussed in the text. 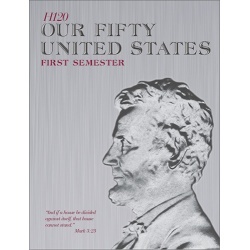 This study of Our Fifty States begins with the state of Maine and continues through to Hawaii. Each week involves map activities with the student learning to identify and label major geographical points on the maps. During the last three weeks of the year, the student will complete an outlined project on his/her own home state. 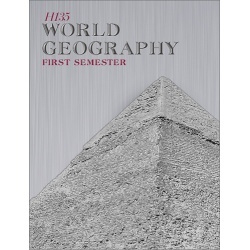 This research project will expand upon the important historical and geographical material studied throughout the year. This course is a study of the United States and its physical features including mountains, rivers, boundaries of states, cities, and the effect of location on climate, resources, population and products. Each week has varied projects pertaining to material covered. A variety of illustrations and maps helps the student understand the contents. 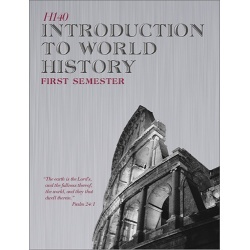 This course emphasizes the relationship of Biblical principles to the introductory study of World History. 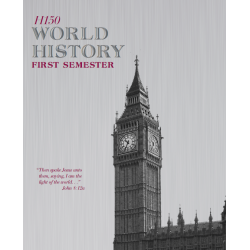 Each week contains a section called “What Saith the Scripture” in which the student will apply the Bible to history, or see how Bible prophecies have been fulfilled in history. Bible memorization is assigned each week and thought questions and reports are assigned regularly. Two major writing projects are completed throughout the year: one on the life of Moses and one on salvation by grace through faith versus salvation by works. 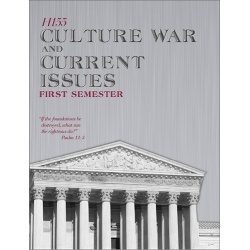 U.S. Government (H160) - This course presents the principles of the Biblical philosophy of government as originally established by the Founding Fathers and as practiced in the American system. 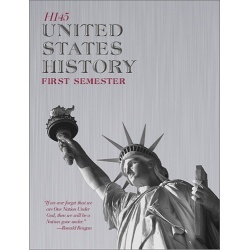 Students will also be exposed to numerous writings on America’s Christian heritage and will learn to apply principles of government from Bible passages. Economics (H161) - In Economics, the student will learn Biblical principles of finance for personal, business, and national scope. This course was designed to be practical enough to impact the student’s life. 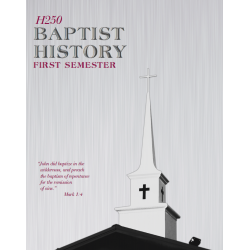 In the tradition of The Trail of Blood this study traces the history of Baptists from the New Testament, through the early church age, the Middle Ages, the Reformation, the Industrial Revolution, and into the modern era. Course includes the book, The Faithful Baptist Witness, by Dr. Phil Stringer.